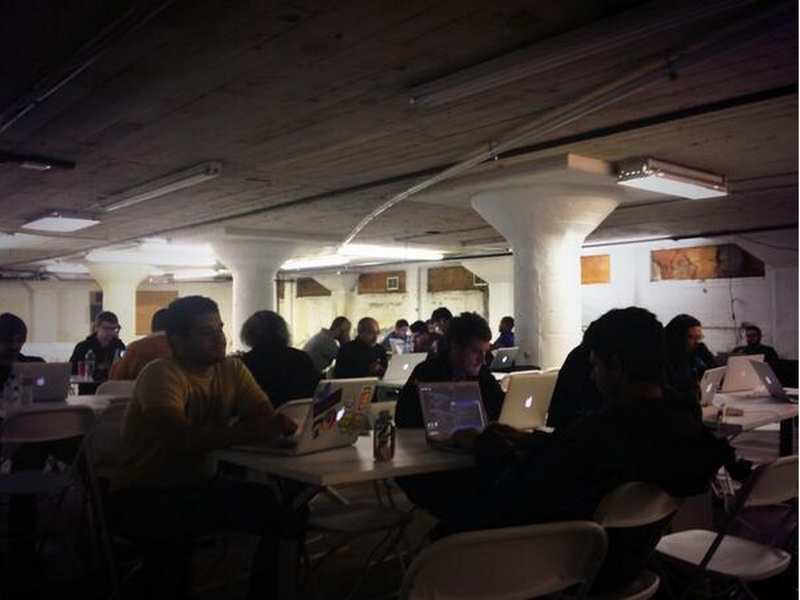 About every two weeks since February, OpenDNS has been hosting its OpenLate meetup at our San Francisco office. From 7PM to Midnight, we invite programmers to hang out in our office and work on their own projects. Engineers at previous OpenLate events have worked on everything from writing a book about Drupal to contributing to Chef source code to writing their first “Hello World” program. When engineers from the OpenDNS Vancouver office attended OpenLate during recent visits to headquarters, they loved the concept. So, OpenDNS is now launching OpenLate in Vancouver! Starting on April 8, the same meetup from San Francisco will be taking place at the OpenDNS office in the historic Gastown district of Vancouver. Join the YVRMeetup group and RSVP here. There will be a live video link between the San Francisco and Vancouver OpenLate events. The next OpenLate meetups take place on a special evening – the day that Microsoft ends support for Windows XP. The events will have the theme of putting XP out to pasture, where we will celebrate the long life of XP and its service packs. We will be watching the official countdown and, when midnight strikes and XP is laid to rest, we will have a special surprise! Do you code? RSVP to our San Francisco or Vancouver OpenLate Meetups, or check out the latest community discussion at OpenLate.io.